Sometimes in the heat of dealing with a crisis, the decision maker is so focused on getting someone into a vacant position that they jump on the first deal they can get done. In other cases, because of a referral, they take the deal offered at face value. In my post titled “Types of interim executives and types of clients” I discuss the various types of interim executives and the organizations they serve. I discuss the importance of matching the skills, experience and sophistication of the interim and their client as a means of achieving maximum value from the engagement. There are a number of ways to make sure you get the best from your interim engagement. This process starts with the contract. Following are some of the considerations that are key to getting the best for your organization from an interim engagement. The principles I am going to outline here are not only applicable for an interim engagement but they are useful in other contracting situations. Rate: Not only is the rate or fee associated with an interim important, the structure is equally important. Structures can range from monthly to hourly and anything in between. While a monthly rate insulates the hosptial from excessive hours, it can also result in the hosptial paying for time it did not get. If there is going to be a structure other than hourly, you should request a time sheet from the interim to support the billing. If you are not going to be watching your interim’s time, you should have someone in your charge performing this function. I do not advise putting interims on your timekeeping system because there may be an issue down the line regarding their status as an independent contractor. The fact that you are doing timekeeping for interims on your system makes them look more like employees. As far as fees are concerned, you should expect to pay between $75 per hour for a high level clerical position like an accountant or analyst to over $300 per hour for a C suite interim. When you are converting hourly fees to monthly rates, remember there are 4.33 weeks in a month. While I am on the topic of rate, I should take time to emphasize the importance of getting the most from an interim engagement. Too many decision makers focus only on the rate while ignoring the potential for an interim to deliver many multiples of their cost. I will address the reasons that interims are more expensive than employees in a future blog. Instead of obsessing over the rate, give consideration to what you need to get accomplished and what that would be worth to your organization. Do not forget to consider the risk you may incur from not having appropriate skill in a critical role during an unstable transitional situation. Retainer: Increasingly, I am seeing interim firms ask for a retainer. They will ask for a lump sum payment representing thirty or more days of fee in advance. The purpose of a retainer is to insulate the interim firm from credit risk associated with doing busines with you. Unless you are in or expect to be in a bankruptcy proceeding, this is ridiculous. All this does is make you the interim firm’s bank. You are furnishing them an interest free line of credit. If they are concerned about your ability or willingness to pay, you should question how interested they really are in becoming one of your business partners. I have worked with an attorney that is of the opinion that a voluntary hospital may not have the legal ability to make a loan to a private enterprise and that is what you are doing when you pre-pay expenses. Payment terms: Interim firms will try to get their fees paid in advance. The typical request is fees in advance and expenses in arrears. Paying for services advance is almost as bad as providing a retainer. You do not pay your employees in advance. You should not be paying your interims in advance. There is no reason to front expenses for services that have not been delivered. If the interim has to go for any reason, you will have a settlement to negotiate. If you find yourself in a dispute, you can always improve your leverage by withholding payment in the event of a breach of your agreement. Severance / Notice: This is one of my favorites. An interim firm will tell you that you have to engage their resource for a minimum of 120 days or more. I have a couple of questions for you. Are you in a right to work state? Do you generally give non-executive employees or executive employees for that matter severance? Why would you give an interim a better deal than you give your employees? Once I had a CEO that had just come into the organization I was serving ask me what my deal was. I answered that my ‘deal’ was to “serve at his will and pleasure. ” When he incrediously asked what the hell that meant, I told him that I was available to him as long as he saw value in my work and if he reached the point that I was not providing value in his opinion, I was out of there. I went on to explain that he would soon learn that he had more than his fair share of problems in this organization and I did not intend to become one of them. If your interim needs the protection of severance or a notice deal to feel comfortable working in your organization, you have to ask yourself whether you have the right interim. This is one of the things you pay a premium rate for. I am comfortable working without a safety net. I have actually refused time committed contracts once explaining to a bewildered CEO that I did not need that type of commitment; I am OK with being the easiest person in the organization to get rid of. I am happy to earn the privilege of being in an organization on a day to day basis. In every case things have worked out and I have ended up staying longer than either of us initially anticipated. All of this being said, while my contract has a termination without cause provision, I do ask for a courtesy notice of two weeks or more at the end of the engagement under ‘normal’ conditions. This is for my convenience only and I would not require my client to observe or pay me pursuant to this clause if things were not going well. So far, none of this has ever happened to me and if I am a decision maker on an engagement, I will not accept this term in a contract. Local employees generally do not like interims all that much to start with. I am not going to be party to giving myself or other interims a better deal than I have or a better deal than the organization’s employees get. Termination / Replacement: A transition situation that requires an interim is unstable by definition. Sometimes the match is not right. Sometimes the interim does not fulfill your expectations. You should have an agreement that gives you the ability to request that an interim be replaced or terminated without cause or notice. An interim producing value will never have a problem. The more common problem for an interim that is producing value is getting out of the engagement as clients are reluctant to release interims that are creating significant improvement in the organization. The organization should have the flexibility to terminate an interim arrangement without notice in the event the interim takes inappropriate action or gets involved in something that would be a termination offense for an employee. Jurisdiction: Fortunately, I have never been involved in a disputed interim services contract. However, I have knowledge of disputes over interim agreements and other types of contracts. Most vendors will ask for legal venue in their home state. They typically take the position that this term is not negotiable. The question you have to ask yourself is that if you end up in a dispute, do you want to bear the cost of going across the country and hiring local counsel to resolve the problem in the vendor’s home town? If they want to take money out of your town, they should be prepared to settle any dispute in your town. I have not seen a vendor refuse local jurisdiction if the alternative is that they do not get the business. 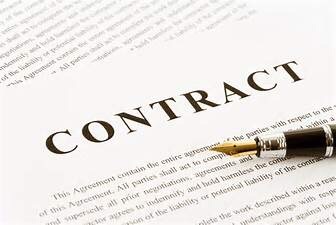 Contact structure: In my opinion, the most efficient way to structure an interim agreement is through a master contract / statement of work structure (SOW). The master contract sets out the entire relationship except for the particulars about the interim resource(s). Then SOWs are added or deleted from the master agreement as engagements occur during the course of the business relationship. The concept is to make the engagement of interims through the same firm more efficient, especially if your organization has a rigorous review of contracts and documents. One thing I have learned is that even if there is no intent to add interims at the beginning of an engagement, as a transition progresses, more skill often becomes necessary. Adding a single page SOW to a master agreement is an easy way to facilitate getting additional resources on the job quickly and efficiently. There is a potential problem with SOWs. I encountered a situation with a firm I previously trusted that was trying to change the terms of their master agreement via a SOW. This was going to create a situation where different interims from the same firm were going to have different engagement terms. They introduced terms into a SOW that were different from the master agreement that were totally unrelated to the specific interim resource I needed. To make matters worse, they threatened to cancel the interim’s travel plans if the SOW was not executed before the interim’s imminently scheduled airport departure. For the first time in my career, I found myself negotiating an agreement under duress on a Sunday morning with a hostile firm that was trying to change the deal mid-course via a SOW. Of course, all of this was blamed on bureaucrats in their nameless, faceless legal department. I demanded and I am still waiting for the decision maker responsible for this fiasco to meet with me face to face to explain why this firm engaged in this activity and what they expected to gain. Needless to say, I will not say that I will not use this firm again but I will exhaust all other alternatives before I ever use or recommend this disingenuous enterprise in the future. The volume of my use of interims from this firm has declined significantly and will eventually reach zero. There was nothing illegal about this. However, a business partner that endeavors to change a deal without proactively telling you what they want to accomplish and why is not your friend. Exclusive agreement: I have seen interim firms ask for exclusive arrangements. There is potential synergy and possibly a small pricing advantage to using one firm for as many interim needs as possible. That being said, it makes no sense for a decision maker to limit their options to only one firm when they may have widely varying needs. For example, I have learned in the school of hard knocks that there are interim consulting firms and executive recruitment firms that specialize in one area or another; materials management for example. Until I brought the resources of a ‘specialty’ firm to bear on a specific need, we were going nowhere in getting a resource into a key position. If you enter an exclusive agreement and the firm you are using cannot fill your needs, then what? Do not limit your options voluntarily . . . ever. Time period of an engagement: Most interim agreements cover a defined period of time. I have seen them as short as a month and as long as a year. To me, the term of the agreement is not an issue if it can be extended or terminated on short notice without cause. For example, you should be able to terminate a one year agreement upon reasonable notice if you find a permanent resource. Standard terms and conditions: As they say, the big words giveth, the small ones taketh away. Most organizations have standard terms they require in every agreement. Make sure all of your terms are in the agreement as you wish them. Business partners will tell you that their contract is non-negotiable or that no one has ever asked them to make a change. My advice is if you cannot get what you want in an agreement (as long as it is reasonable) move on. Do not sign an agreement you have not read. Do not sign an agreement that you do not understand every word, phrase and clause. Do not sign an agreement that contains anything you do not like. Just because the vendor is telling you that everyone else has signed the agreement or that it is their ‘standard’ contract, you should demand your right to get the agreement in a suitable form. If the vendor will not accommodate this, tell them thanks and move on. I should make a point here about contract language. I have been reminded by a highly respected attorney mentor that if you find yourself in a court room arguing about the initial intent of the parties, your dispute may be settled by a jury of high school drop-outs. If you want them to understand what you intended, you have a duty to insure that your contract is written in plain, simple, straight-forward English. Teaching someone how to do contracting in a single blog is not going to happen. My purpose in writing this is to sensitize decision makers to some of the considerations and traps in interim service agreements that work more to the advantage of the resource provider than the organization being served. I find this distasteful but it has become a relatively standard practice. You do not have to take the deal as offered and you should get terms that are fair not only to your organization but to the faithful employees in your employ that do their part to make things as they should be each and every day. All of our interests would be served if we could collaborate to develop a contracting template for interim services. I will be happy to compile and post a resource that contains the best of the suggestions that come from this effort. This is original work. I have not discovered content of this nature in my extensive dissertation research. This material is copyrighted by me with reproduction prohibited without prior permission. I always note and provide links to supporting documentation for non-original material. Next Are you a CEO? Have you been caught looking? Do you know anyone that has been caught looking?